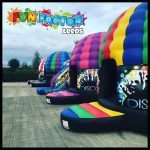 Over 50 inflatables to choose from including Bouncy Castles, disco domes, assault courses, mega slides & much more. 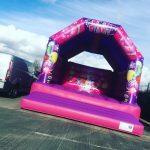 We cover Leeds Wakefield Castleford Pontefract Barnsley and Huddersfield. Planning a party? Call today or book online anytime.